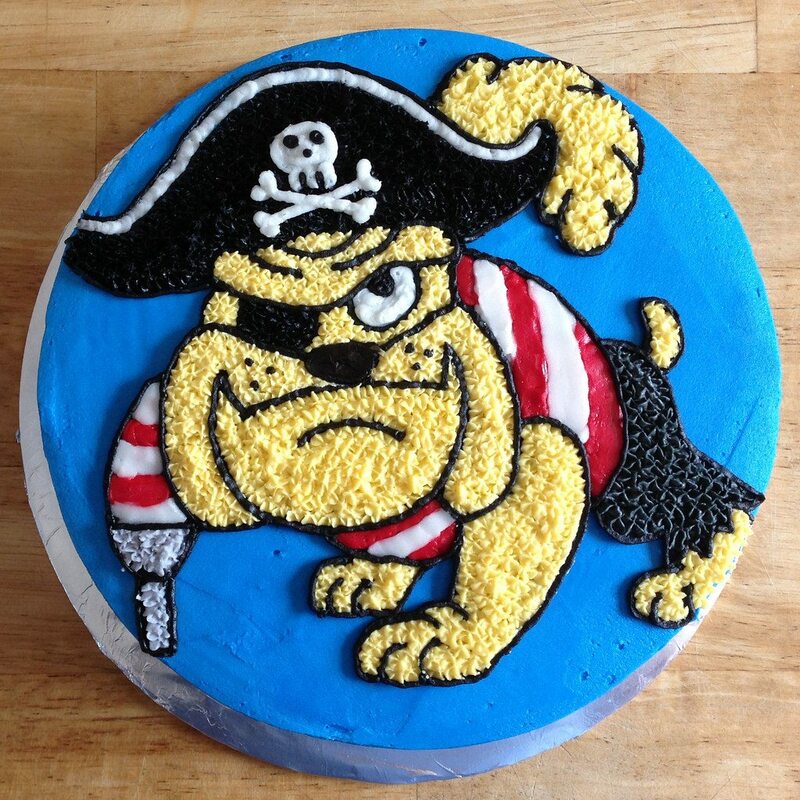 bulldog cake #3 for z.
my crazy week of cakery ends with this pirate bulldog cake. 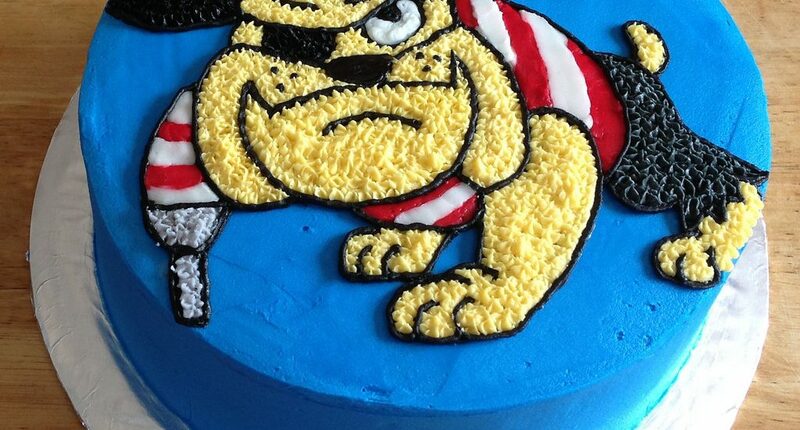 it’s the third bulldog cake that i’ve made for my friend kim’s youngest little guy, who is 4 today. he likes bulldogs. 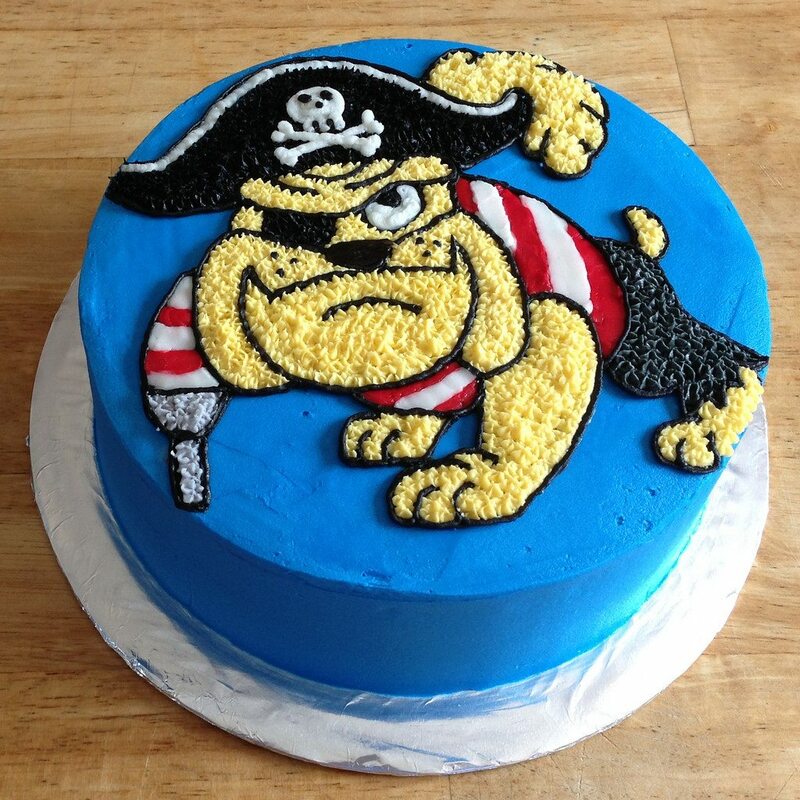 and pirates. and yellow. 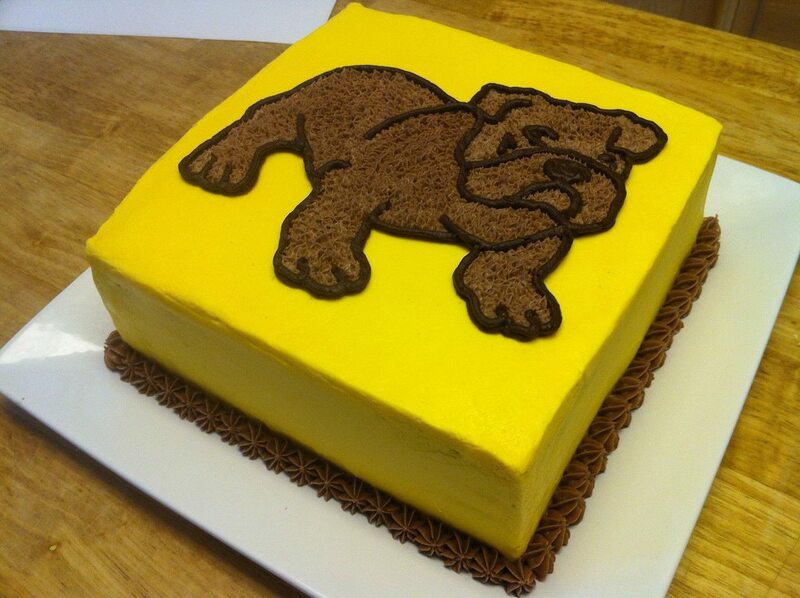 that equals this cake. 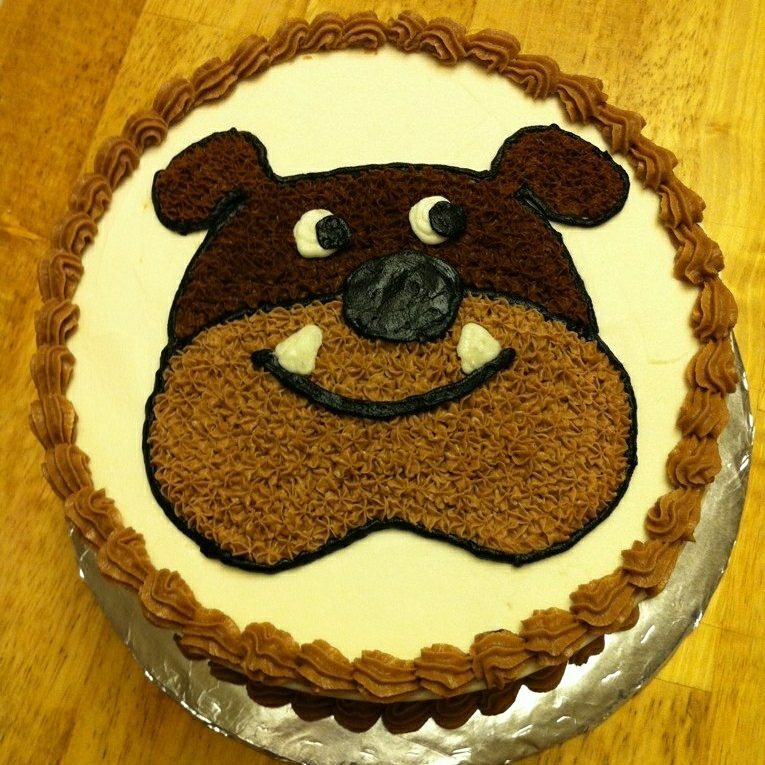 so, in ten days, there was: the rocker cake, ike’s bday cupcakes and angry birds cake and this sucker. i’m ready for a bit of a frosting break. both decorating and the eating of leftovers.